Love your shower tiles but hate scrubbing and sealing them? Try a cultured marble shower surround from Precision Marble. Scrubbing and sealing shower tile and grout lines is no fun. No matter how good it looks when you install it, tile leads to maintenance headaches down the road. Mildew loves to feed on caulking and grout seams, and the more tile you have, the more work it is to keep clean. 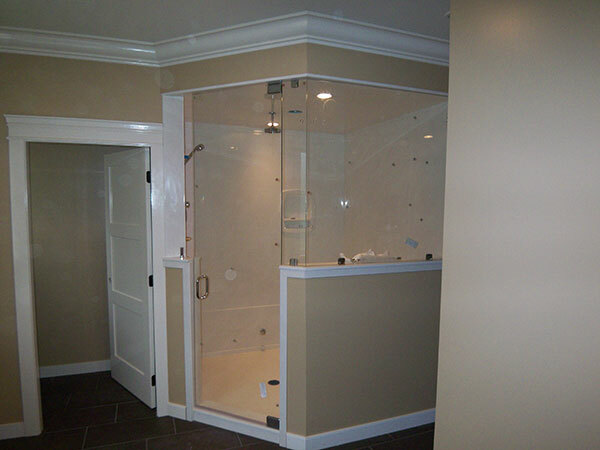 If you’re looking for an easier solution, try upgrading to a cultured marble or granite shower surround from Precision Marble. With the sleek look and polish of natural marble, you get a modern-looking shower that is easy to maintain at a fraction of the cost, installed in less than one afternoon. One piece acrylic shower liners have become a quick and easy solution for bathroom renovations, but many end up separating, cracking, puncturing or bubbling within a few years. 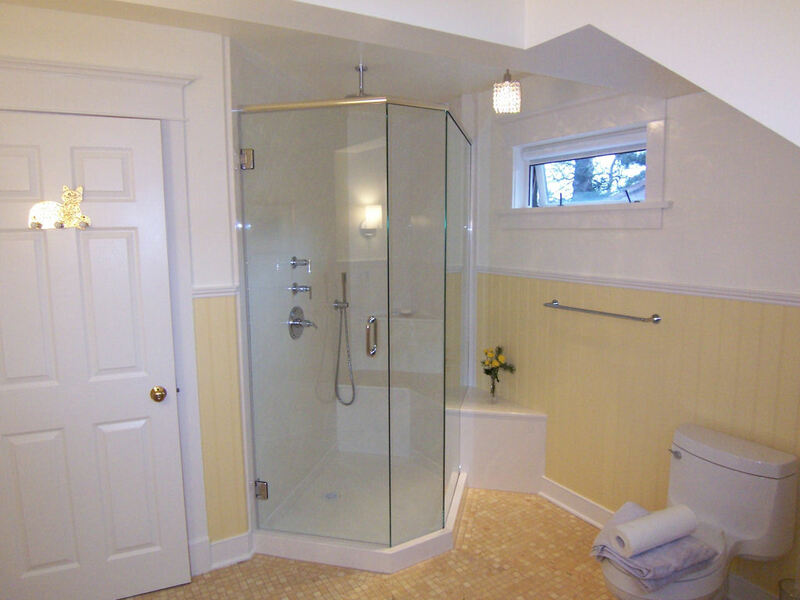 Our cast marble and cultured granite showers are custom manufactured, one at a time, by skilled craftsmen. The result is a sturdy product that looks and feels like stone, and lasts just as long. And because we build every product from a custom mold right here in our Victoria factory, we can tailor styles and colours to your liking. Like all cultured marble, our showers and bases are a composite of natural marble (granite, onyx and recycled glass also available) and polyester resin. We then apply an extra thick gel coat that creates a smooth, non-porous surface. This produces a durable, waterproof barrier that ranges from 3/8” to 3/4” thick, which — unlike tile or stone — has few seams and never requires sealing or grout. 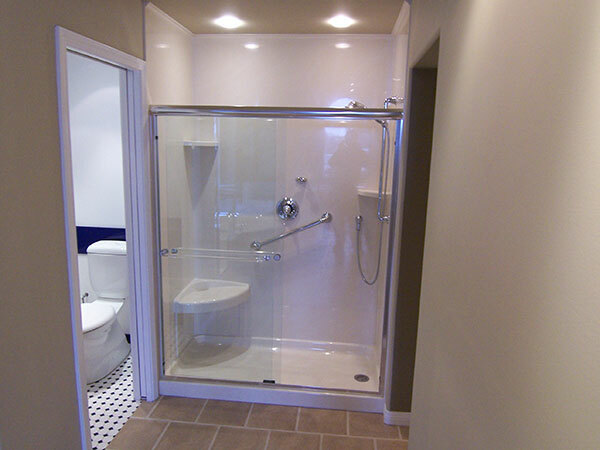 All Shower styles can be customized to fit and maximize your bathroom space.